OBJECTIVE: To examine the effect of a 4-month progressive strength training program on muscle and fat mass assessed by computed tomography (CT) in type 2 diabetes mellitus (T2DM) patients, and to assess the relationships of changes in muscle cross-section area (CSA) with glycaemic control. METHODS: Twenty adults (mean age ± SE: 56.4 ± 0.9 a) with T2DM participated in a supervised strength training program for 4 months 3 days/week. Muscle and fat areas of the quadriceps muscle were estimated by CT volumetry before and immediately after the training. Glycaemic (HbA1c) and anthropometric (BMI, skinfolds) measurements were assessed at 0 and 4 months, respectively. RESULTS: After strength training, muscle strength increased significantly in all measured muscle groups. Quadriceps size (CSA of the muscle) was increased by 2.4% (from 7.99 ± 0.3 cm3 to 8.18 ± 0.3 cm3, p = 0.003) for the right extremity, 3.9% (from 8.1 ± 0.4 cm3 to 8.41 ± 0.5 cm3, p = 0.04) for the left side. Fat tissue CSA reduced from 0.66 ± 0.1 cm3 to 0.56 ± 0.12 cm3 for the right leg (15.3% reduction) and from 0.58 ± 0.12 cm3 to 0.37 ± 0.13 cm3 for the left leg (35.8% reduction), resulting in a mean fat CSA reduction of 24.8%. Fat mass assessed by skin folds was significantly reduced and lean body mass was significantly increased. The change in muscle CSA was not correlated with the changes in HbA1c or muscle strength. CONCLUSIONS: Strength training significantly improves both muscle mass and the muscle to fat ratio in T2DM. However, changes in muscle observed with computed tomography were not related to changes observed in HbA1c with training. 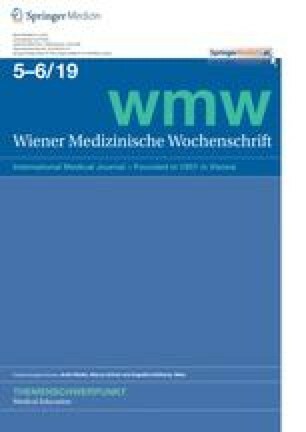 GRUNDLAGEN: Ziel dieser Untersuchung war es, die Effekte eines 4-monatigen progressiven Krafttrainingprogramms auf die Muskel- und Fettmasse, gemessen mittels Computertomographie, bei Diabetes mellitus Typ-2-Patienten zu bestimmen und die Veränderungen der Muskelquerschnitte auf den Glukosestoffwechsel zu untersuchen. METHODIK: Zwanzig Patienten (mittleres Alter ± SE: 56,4 ± 0,9 a) nahmen an einem supervidierten 4-monatigen Krafttrainingprogramm 3 Tage/Woche teil. Muskel und Fettmasse wurden mittels Computertomographie vor und unmittelbar nach dem Training gemessen. Ebenso wurde der Glukosestoffwechsel (HbA1C), als auch anthropometrische Daten (BMI, Hautfalte), zum Zeitpunkt 0 und nach 4 Monaten erhoben. ERGEBNISSE: Nach dem Krafttraining verbesserte sich die Muskelkraft signifikant in allen gemessenen Muskeln. Der M. quadriceps vergrößerte sich um 2,4 % (von 7,99 ± 0,3 cm3 auf 8,18 ± 0,3 cm3, p = 0,003) in der rechten und um 3,9 % (von 8,1 cm3 ± 0,4 auf 8,41 ± 0,5 cm3, p = 0.04) in der linken unteren Extremität (bestimmt mittels Muskelquerschnittsmessungen). Das Fettgewebe verringerte sich von 0,66 ± 0,1 cm3 auf 0,56 ± 0,12 cm3 im rechten (15,3 % Reduktion) und von 0,58 ± 0,12 cm3 auf 0,37 ± 0,13 cm3 im linken Bein (35,8 % Reduktion), insgesamt fand sich eine Fettquerschnittsreduktion von 24,8 %. Die Fettmasse wurde signifikant reduziert, während die Muskelmasse signifikant zunahm. Es zeigten sich keine signifikanten Korrelationen zwischen Muskelquerschnittvermehrung und Hba1C oder Muskelkraft. SCHLUSSFOLGERUNGEN: Krafttraining verbessert sowohl die Muskelmasse als auch das Verhältnis Muskel zu Fett bei Diabetes mellitus Typ-2-Patienten. Jedoch korrelieren die Veränderungen der Muskelmasse (bestimmt mittels Computertomographie) nach dem Training nicht mit den Veränderungen im HbA1C.